For more than 100 years, Tombow has been an industry leader in affordable, quality office and art products. Here, it’s a name mostly recognized in specific groups such as artists or scrapbook enthusiasts. But in Japan, Tombow is a household name as a maker of wood pencils. Children there grew up with Tombow pencils the way Americans had Dixon Ticonderoga. Tombow still makes pencils, but here they’re associated with a range of products with the common thread being consistent quality. The pencils Tombow sells here are mostly for drawing. Drawing pencils are designed to withstand heavy use and resist smearing, and Tombow’s packs include pencils of various hardness to produce different shades. 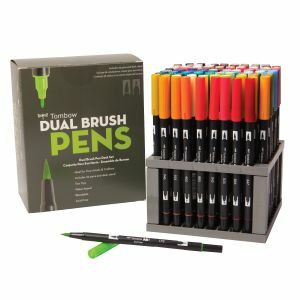 Also popular for artists are dual brush markers using blendable, non-bleeding water-based ink. Each pen has two tips- a fine tip for lines or other precise work and a brush for coloring with broader strokes. Along with writing utensils, Tombow has also made a name for itself through a pair of running tape products. 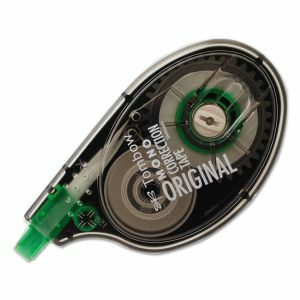 Whether adhesive or correction tape, tape runners can be very finicky, sometimes tangling, not sticking to the paper, or not advancing properly. Tombow tape dispensers avoid these problems better than many of its competitors in both its adhesive tape series popular with scrapbookers and its correction tape- a useful item to have around the office. Now’s a great time to try out Tombow products! We’re running a sale on Tombow correction tape and have a coupon for $10 off Tombow dual brush markers until the end of the month! In honor of President’s Day we’re having a one-day-only flash sale! We’ve got 30 items lined up for you to get at a huge discount. They represent a range of products available on our site, including many beyond typical office products. Here are some featured sale items that aren’t necessarily for your desk. We offer hundreds of cleaning products and janitorial items, such as the Clorox Disposable Toilet Cleaning System, a great way to clean and disinfect your toilet bowl. 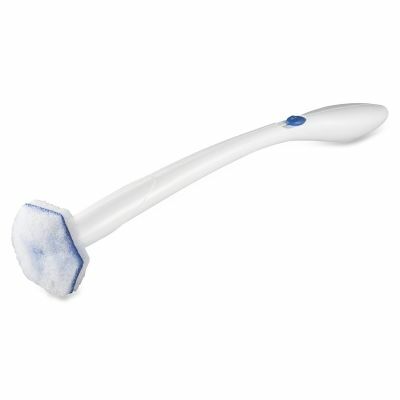 It includes six disposable brushes (refills are available), sparing you the need to keep a used brush lying around the bathroom. Additional janitorial sale items on sale include Gojo hand soap, Kleenex facial tissue, a dispenser for exam gloves, and safety glasses. If you’re looking for snacks, our President’s Day sale has some deals. 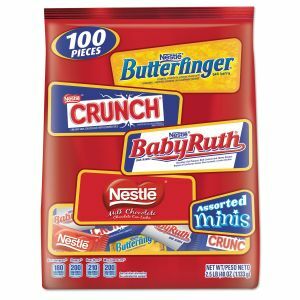 Our selection of candy, snack food, and instant meals has something for every palate. Today we’re featuring a box of assorted candy miniatures, a variety box of snack cookies and crackers, and Rice Krispies Treats. We even have decorative items like posters and prints. This set of prints includes four different inspirational presidential quotes in stylish floating frames. They look great on the wall; pick up some Command Strips and enjoy today’s discounts! When it comes to office supplies, few items are one size fits all. Even products you may think are basic commodities are specialized and tailored to different situations. Staplers, for example, are designed differently to focus on ease of use, stapling a large number of sheets, or swapping different size staples. Buying smart doesn’t only mean finding the best prices on the products you need. Going cheap might mean ending up with something that won’t do what you want. You need to think about how each product is going to work for you and shop accordingly. Take a look at some discounted products on our Smart Buys page for some examples. Envelopes are a simple example. 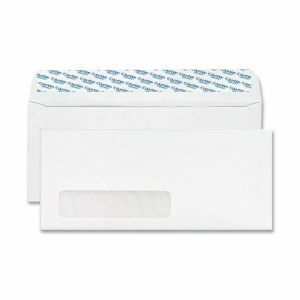 While it’s easy to pick up a box of envelopes without thinking, there is a specific type for what you need. If you’re mailing invoices, windowed envelopes save you the step of generating address labels. Security envelopes are essential for transactions with dollar amounts, account numbers, or anything that needs to stay hidden. If you’re mailing a large number of envelopes, you’ll want self-sealing or peel-and-seal envelopes... unless you have a sealing machine and you need to stick to gummed seals. There’s a lot to think about. 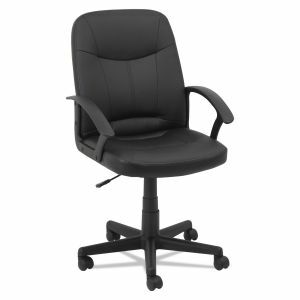 Your desk chair might be the most important thing in the office to get right. You need to create the right fit for both your comfort and the time you spend in it. Do you need a chair that helps support your neck or back? How much will you want to adjust for height, tilt, or lumbar support? Do you prefer a mesh seat or leather, vinyl or fabric? Given how much you sit on your chair every day, if you haven’t thought about these questions when selecting your current chair, you should look into your options. Our Smart Buys page is a good starting point when looking around for different products. Some envelopes, chairs, and highlighters are on sale, with rebates and coupons for markers, dry erase boards, and privacy filters. Take your time, figure out what you need in each product, and buy smart! Happy Valentine’s Day! Today’s a day for love and romance, and if you’re feeling extra festive you may want to keep the spirit alive by adding a touch of romantic color to your office supplies. More reds and pinks can add a splash of warmth to your stock. For today only, our Valentine’s Day flash sale shows some love to a number of themed items! Why settle for all of your file folders being the same manila color? Expand the palette a little with Smead’s colored file folders. 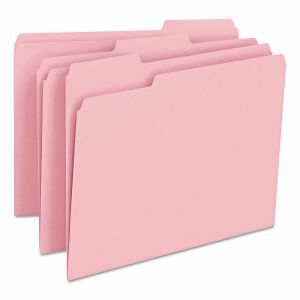 Make a statement with a drawer of pink folders, or get multiple colors to add an extra level of organization. You can also get Post-It Notes or a box of highlighters all in pink as well. To get some red on your desk, try the Black n’ Red hardcover notebook. These are designed for takings notes in the office and the sharp color will stand out. 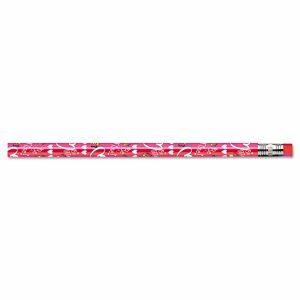 To get straight to the point and express your love for Valentine’s Day, these pencils have a special Valentine’s theme and make a great gift. They can also be incorporated into holiday projects or notes for a special someone (perhaps on pink paper). For some holiday treats, we also have a special on Swedish Fish and a giant tub of Red Vines. You can find all our sale items here for the rest of the day! On top of all the great savings we normally offer, our rebate page is a chance to earn even more back. Opportunities to claim free items, gift cards, and even cash are available from manufacturers if you buy the right items and fill out the information. Here are three rebates available through the first quarter of 2017 that will reward you for getting organized. 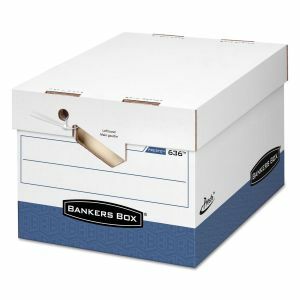 Bankers Box is always a go-to choice for archiving files and creating stackable storage. Both the Presto and Mystic series feature boxes that assemble in an instant, leaving less busy work and more time filling them and cleaning out desks and cabinets. They even feature locking lids, preventing boxes from accidentally opening and threatening its contents. 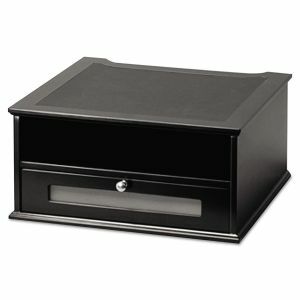 Now, ordering $100 of one of the two earns you a cash rebate- $25 for Mystic boxes and $30 for Presto boxes! Through the end of April, Swingline, Quartet, and Cambridge are running a flexible rebate program on a number of their items including dry erase boards, staplers, and shredders. The amount you earn back increases the more you buy, but will be about 10% cash back. Bigger departmental shredders have their own rebate offers, going up as high as $750! 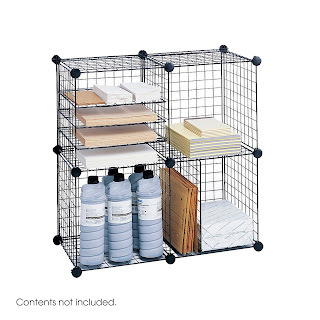 A wide variety of products are available, making this a great way to pick up several different kinds of office essentials and accessories. 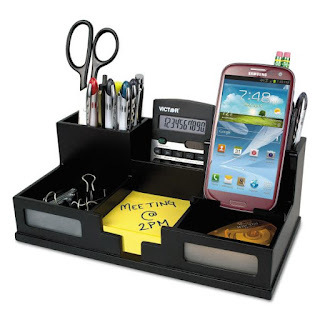 Victor is rewarding desk organization with a free gift. 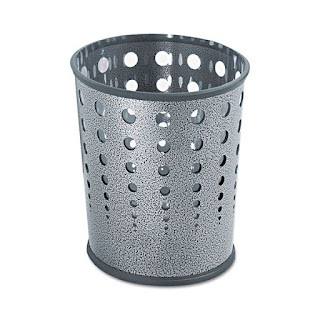 Right now, you can earn a free pencil holder by ordering one of seven qualifying products- options include monitor risers that add storage space under your screen, a printer stand with trays for paper and accessories, and desktop organizers with up to five compartments. Like the Fellowes rebate, the Victor offer lasts until the end of March. Check our our rebate page for a full list of all the great offers! We’re almost there! The end of winter is almost in sight and we’re ready for spring to get here. In fact, our winter clearance sale has begun, with dozens of products marked down and ready to leave shelves. Many are there to keep you, your home, or your office warm, clean, and safe from the cold weather. Here are a few products that can still help through the final month and into spring. What sort of condition are your company’s floor mats in? Are they still absorbing all the moisture that gets tracked in? Is all the dirt getting scraped off? If not, and you’re somewhere with a long winter or a wet spring, now’s a good time to upgrade your indoor or outdoor floor mat. 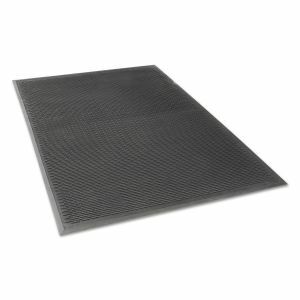 We have several Crown mats for sale that serve either purpose; just find the right size and texture for your needs. Of course, that won’t keep all the dirt out, so you’ll find plenty of cleaning products on clearance, including bleach, multipurpose cleaner, and disinfecting wipes. It’s hard to imagine getting through the rest of the season without one more cold snap. 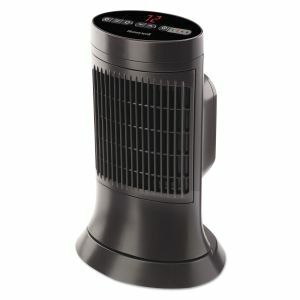 Knowing that, and with future winters to consider, now is a great time to add a heater for the home or office. Many are listed on our clearance page, giving you a number of options based on room size, intensity, and portability. Along with a cozy room, additional items such as hand sanitizer and a humidifier can help ward off potential illnesses. Our clearance sale runs through the end of the month!